Vintage Barn Window becomes Baby's Coat Rack! Vintage Coat Rack for Baby Reagan! 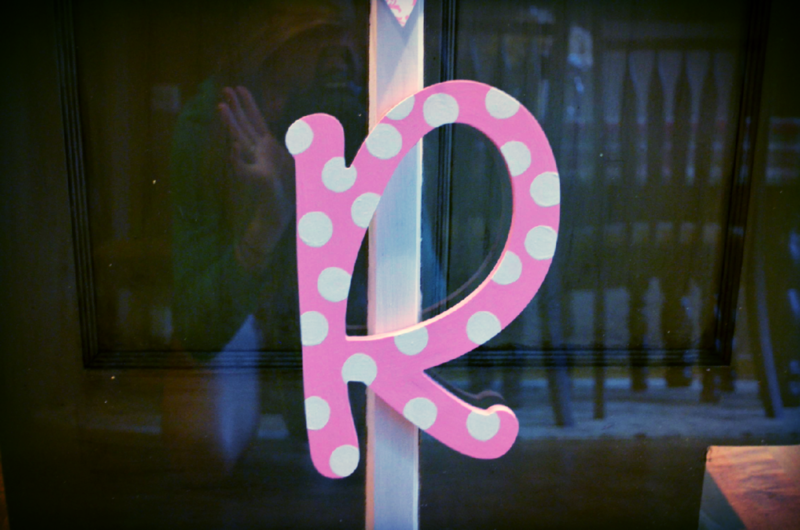 Using a marker top, I stenciled circles all over this "R" monogram from Michaels ($3) for baby Reagan's coat rack. Then I painted the letter in pink, and re-painted the circles once more in white. Butterfly knobs were the perfect touch and are from the dollar section at Michaels! Finally, I added these tiny buntings from scrapbook paper I had left over from this baby gift! 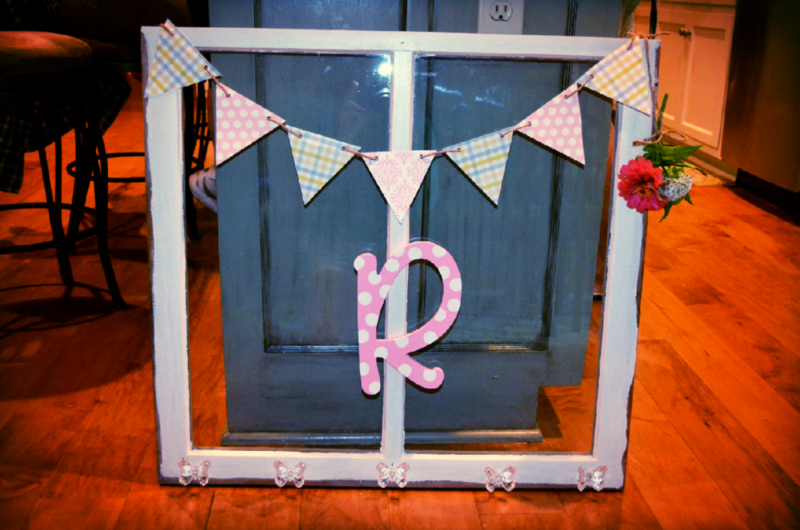 Now, this barn-window-flip is ready for this sweet baby's bedroom! Dream big sweet baby Reagan!! Buntings=Left over from this craft!